Normally our gums are red, and our teeth are white. But if your gums ever become white, remember it is not normal and see your dentist immediately. White patches or spots on the gums could mean many things. It could be a mild condition like gingivitis or an indication of a systemic disorder like anemia. The whiteness can also be a symptom of a more severe illness like leukoplakia or oral cancer. Therefore, you should visit your dentist right away if you notice any such patches. Under normal conditions, our gums are pink with some reddish tinge. In gingivitis, the gums get inflamed and may show some paleness, though inflammation is usually linked to redness. Due to the infection, there will be a generalized whiteness of the gums. 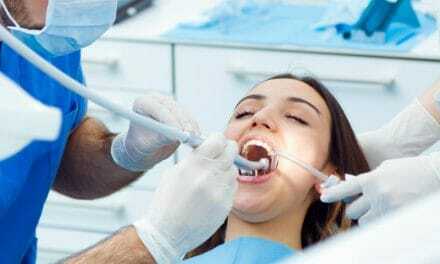 Other symptoms are bleeding gums, pain while brushing and a foul smell from your mouth. You may also feel like your teeth are becoming loose as your gums recede. The primary objective of treating gingivitis is to eliminate the bacteria in your gums. A thorough scaling by your dentist is necessary for the microbes, calculus, and debris to be removed. Next, you can supplement that with a mouthwash, anti-biotics and practicing good oral hygiene. Canker sores are tiny round eruptions that you can get on your gums, the sides of your tongue, your palate or cheek lining. They are also called ulcers and have yellow or white centers which are painful when they rupture. Remember canker sores appear as small white circles, and they do not cause your entire gum line to look white. If you touch them, they are painful, and these often burn or hurt when you eat or drink something. Ulcers are suggestive of psychological stress, vitamin deficiency, irritation from dentures or systemic illnesses. Canker sores require no treatment as such. They are most often self-healing in about two to three weeks. To get respite from the pain, you can apply a topical ointment recommended by your dentist and perform salt water rinses at home. Avoid spicy and hot food temporarily. If these do not heal within twenty days, visit your dentist for a check-up. 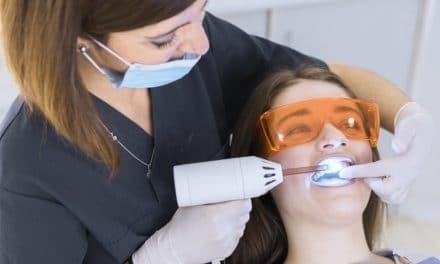 Removing these sores via laser treatment is a newer option that your dentist may suggest. Anemia is a systemic condition in which there is a deficiency of hemoglobin in your blood. It affects the functioning of many parts of your body and has some characteristic oral manifestations. You will see whiteness on your gums, tongue, and mucosa. (1) These correspond to pallor, and you will notice that your skin on the rest of your body has become pale too. Other symptoms of anemia are the weakness, fatigue, breathlessness, and fluctuating heart rate. You will notice that you get tired quickly and your hands and feet feel cold. Anemia has multiple underlying deficiencies like iron or vitamin B12. It may also be due to irregular size or an abnormal number of red blood cells. What this tells you is that the treatment will vary, but the objective remains the same- to restore the health of the blood in your body. The primary treatment for anemia is to modify your diet to control deficiency of iron, folic acid, and vitamins. Based on the severity of the condition, your physician will decide if any additional treatment is needed. The oral manifestations of anemia will subside once the overall condition has been taken care of. Lichen planus is an autoimmune disorder which causes inflammation of the skin and oral mucosa. Rashes, irritation, and itching characterize it. You will also notice numerous small pink and white bumps on the skin. Though the exact cause of lichen planus is not apparent, we know that it manifests orally as lacey patches on the gums and other tissues of your mouth. Bleeding gums, pain and inflammation accompany these. Lichen planus is common in people with systemic illnesses, nutritional deficiencies, and terminal illness. (2) Based on the clinical and microscopic picture, lichen planus has many variants and types. Since we have been unable to zero down on a particular cause for Lichen Planus, it is difficult to provide a fixe treatment. Relief measures include anti-histamines to reduce itching and steroids to control inflammation. To suppress the immune system, your doctor may prescribe acitretin tablets too. UV light therapy is another option for managing the lesions. Remember that this condition may take months or even years to resolve, and maintaining the overall health of the body is essential to overcome it. A fungus- Candida albicans cause oral thrush. In this disease, you will notice white patches on your gums, tongue and cheek lining. Sometimes, along with the whiteness, you will also see some redness. The white patches of thrush are usually scrapable. This means they fade on scraping. Along with this, you could also experience xerostomia. The treatment of thrush is anti-fungal medicines to eliminate the candida. Your physician will prescribe an appropriate anti-fungal medication and dosage, depending on your condition. Leukoplakia is a mostly habit induced condition which shows as white, non-scrapable patches in your mouth. Though it cannot be singled out, tobacco is one of the known causes of leukoplakia. It is also linked to malignancy, viral attacks, and AIDS. The white patches will accompany inflammation, pain, difficulty in eating and itching. 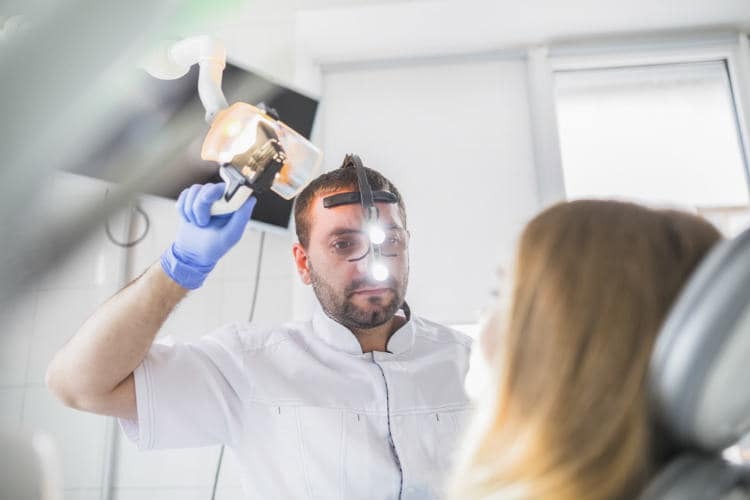 You will not be able to remove these patches with your brush, and they may be seen on your tongue, sometimes on your gums, but most commonly on the cheek mucosa. Leukoplakia is mostly a recurring condition and has no fixed treatment. If you smoke or chew tobacco and notice these white patches, you must quit immediately. If leukoplakia has affected you systemically, the doctor will prescribe anti-viral medications to strengthen your system. Managing this condition is mainly about quitting harmful habits, leading a healthier lifestyle and practicing good oral hygiene. As scary as it sounds, what can start off as whiteness in your mouth, can amount to something as severe as oral cancer. Often, white and red bumps are the only symptoms of this which result in delayed diagnosis. You may have flesh colored elevations, bleeding from the gums or unusual lumps in and around your oral tissues. Additionally, swallowing becomes painful, mouth opening may reduce, and you will have mouth ulcers. Oral cancer needs extensive diagnosis and treatment planning. Depending on the stage of the malignancy and the metastasis, your oncologist will devise a treatment plan for you. Removal of the cancerous tissue through surgery, chemotherapy, and radiation are some of the ways to tackle this. During the treatment, a patient may need artificial feeding devices and palliative treatment. The malignant cells have to be removed entirely to reduce the chance of recurrence, though it can never be completely ruled out. It is clear now that white gums have many different causes, all of which have varying treatments. But there are some general measures that you can take at home, to give yourself relief from the pain and discomfort. Watch what you eat- Reduce your intake of spicy food or anything with a strong flavor. Also, don’t eat something very hot or acidic. It is best to eat soft, cold and bland food during this time. Remember to eat a nutritious, balanced diet, especially if your overall health is affected. Reduce sugar and its derivatives. Candies, beverages, and sweets are somethings you should avoid. You can use an alcohol-free mouthwash to rinse your mouth. This will work two ways- it helps to clear the bacteria from your gums and reduce infection. It also gives an overall freshness to your mouth, giving you some respite from the foul smell. Keep your teeth, gums, and tongue clean. 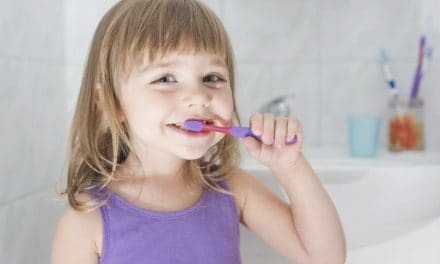 Use a soft brush, a tongue cleaner, and a fluoridated toothpaste to maintain basic oral hygiene. Quit harmful habits like smoking, and having tobacco in any form. Reduce or stop consuming alcohol too. If these habits haven’t caused the whiteness on your gums, they are going to worsen it. Keep in mind that these options are just here to supplement treatment. 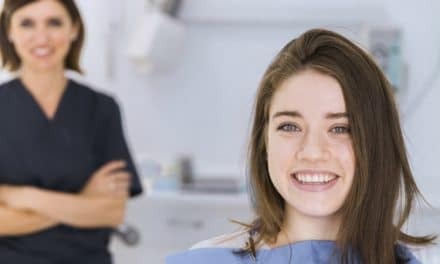 At no cost, you should avoid visiting your dentist or miss conventional therapy for any of these conditions. White spots on your usually pink gums can be alarming and painful at the same time. Whatever your symptoms may be, it can be made easier to treat once your dentist has a definite diagnosis. Whether it is an infection, leukoplakia, or just ulcers, you must visit your doctor to have it under control at the earliest. All these conditions which occur along with other problems will require a multi-disciplinary approach to treatment.